Electronic Registration Form - please register soon due to hotel reservations. Here you may check already Registered Participants. If you registered electronically and your name is missing or you want to update/cancel registration, please send us an e-mail. Proceedings of the contributed lectures and posters will be published by Slovak University of Technology !!! NEW - Electronic version of the Proceedings of ALGORITMY 2012 available now !!! Electonic versions of the Proceedings of previous conferences (ALGORITMY 2000, ALGORITMY 2002, ALGORITMY 2005, ALGORITMY 2009) you can find here. 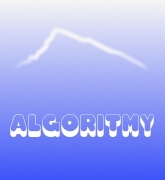 ALGORITMY (Algorithms) represents the oldest Central-European series of international high level scientific meetings devoted to applied mathematics and numerical methods in computational sciences and engineering. It has been traditionally organized in the High Tatra Mountains, Slovakia (see ALGORITMY 2009, ALGORITMY 2005, ALGORITMY 2002) by the Slovak University of Technology in Bratislava in cooperation with Comenius University in Bratislava and Slovak and Czech Academy of Sciences. Following this old tradition, the 19th ALGORITMY conference will be devoted to computational methods, their analysis, algorithmic realization and application to real-world problems arising from, but not restricted to, natural sciences, engineering, technology, medicine and finance. In solving the above mentioned real-world problems, the main attention is given to a new development and advanced applications of modern numerical methods as finite element, finite volume and finite difference schemes, preconditioning techniques and Lagrangean and Eulerian level-set methods, applied on structured and unstructured adaptive grids. The programme of the conference will consist of invited plenary lectures, compact two-hours invited parallel sessions, parallel sessions of contributed talks and a poster session. Deadline for submission of contributed talks and posters is April 22, 2012. Peer-reviewed Proceedings of sessions' and contributed talks and posters will be published by the Slovak University of Technology and will be at disposal during the conference. The length of the paper should not exceed 10 pages, instructions how to prepare the manuscript are here, the deadline is April 22, 2012. Please send your paper in PDF format to algoritm@math.sk. Proceedings of plenary lectures supplemented by selected contributions of participants will appear in a scientific journal. The scientific programme will start on Monday, September 10th, 2012 at 9 am and end on Friday, September 14th, 2012, afternoon. The accomodation will start on Sunday, September 9th (dinner) and end on Friday 14th (lunch).